Providence avenged last season’s lost to Rhode Island by limiting the Rams to 29% shooting for the game en route to a 59-50 win. 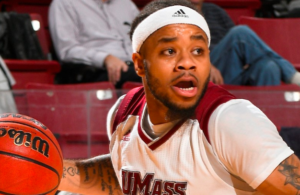 Here are notes from the Dunkin Donuts Center. 1. 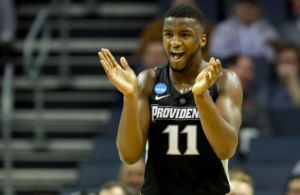 Ed Cooley continues to heap praise upon Isaiah Jackson. 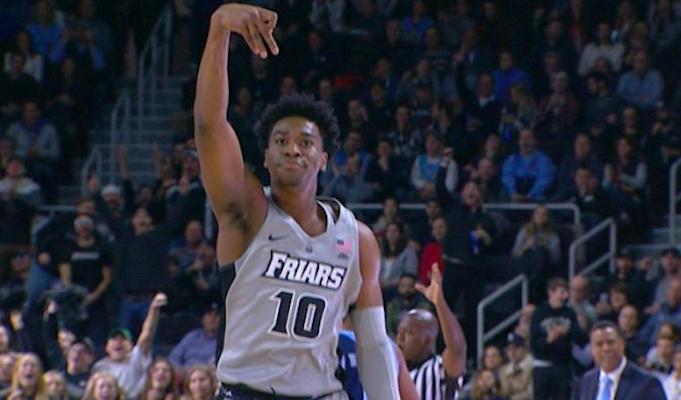 The fifth year senior has been a stabilizing force for the 6-2 Friars, and was so once again against Rhode Island on Saturday night. No Friar made bigger plays in this one. Jackson finished with 13 points and nine rebounds, but it was the timeliness of his biggest plays that stood out. He knocked down a 3-pointer and got to the free throw line on consecutive possessions out of the under 12 minute timeout in the first half to push PC ahead 23-12. Jackson later knocked down his second 3-pointer with under a minute to play in the first half to put the Friars up 10. As the offense stagnated in the final 10 minutes it was Jackson who got to the free throw line to keep URI at bay. Jackson also drew a critical charge on URI’s Cyril Langevine — Langevine’s third foul of the game. The Rams big man was the only productive player they had on Saturday. He finished with 18 points and 12 boards. 2. Providence won’t win many games this season if Alpha Diallo is held without a field goal, but that was the case tonight. Diallo missed all six of his shots, but did manage to make 5-6 at the free throw line while grabbing eight more rebounds. 3. Diallo certainly wasn’t alone in his offensive struggles. Cooley said (joked?) that he won’t even watch the tape of this one. 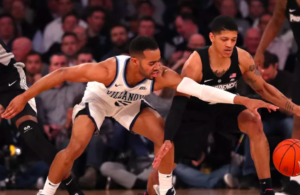 Both teams struggled mightily in an ugly second half that saw Providence shoot 19% from the field (4-21), 1-6 from 3, and 11-21 at the free throw line. Cooley was very happy with his group’s defensive effort after calling it into question the last two times out. URI went just 6-30 in the second half and 1-11 from deep. The Rams shot under 30% for the game and a woeful 2-18 from deep. 4. A season ago Fatts Russell was the best player on the floor when Rhode Island snapped its seven game losing streak to PC. Now a sophomore, Russell is being asked to carrying more of the offensive burden, but he’s struggling to do so. Russell shot just 2-13 from the field on Saturday. 5. The telecast might not have picked it up, but there was a lot of chatter between these two teams — especially in the first half. Apparently, Friar freshman Jimmy Nichols is a talker. He had an ongoing conversation with the physically imposing Langevine in the first half. There was a feeling of nastiness in the air from the tip, but the ugly shooting combined with an endless sea of foul calls seemed to sap the building of its energy in the second half. Still, we saw Maliek White and Russell in a tussle, David Duke talking after posting up Russell for two, and after Langevine missed a free throw it appeared as though Diallo reached his hand out to high five him. When the Rams came out of the locker room for the pregame layup line the PC student section on the visitor’s side of the arena popped with an anger I hadn’t heard in the building in quite some time. It’s been louder pregame, but there was a certain edge following Providence’s loss last season. 6. It shouldn’t have taken this long to get to Nate Watson. He dominated the first half, making 4-6 from the field and getting seemingly whatever he wanted on the block. Watson took just two shots in the second half, but he finished with 12 points, seven rebounds, and a loud block of Russell. It appears as though Cooley may be trying to save the physical Watson from foul trouble, at least in the early portion of the schedule. Watson typically enters the game after the under 16 minute timeout, and once he picked up his first foul in the first half Cooley pulled him. 7. Another game, another good scoring night from freshman AJ Reeves. Reeves’ 15 points led PC, and he buried three more 3-pointers tonight. Reeves is certainly familiar with this rivalry, having attended the PC/URI game at the Dunk two years ago. He had eight points in the first four minutes of the game on a backdoor cut and a pair of 3s. 8. The Rams will always cause Friar blood to boil, but there was something missing this year without Dan Hurley roaming the Rhody sideline. The demonstrative Hurley did an outstanding job of rebuilding Rhode Island, and the more reserved David Cox did not draw nearly the same level of attention to himself as Hurley.